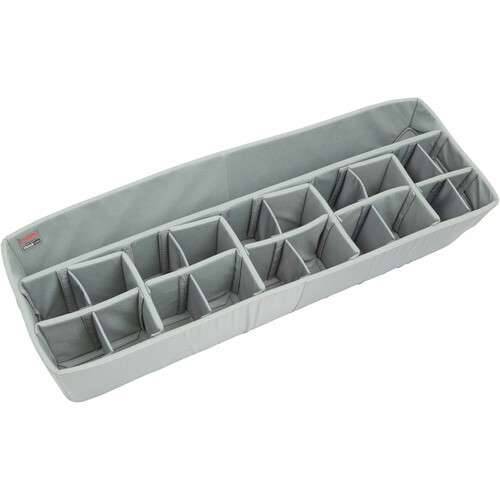 Organize and protect your valuable gear with the iSeries 4414-10TT Think Tank Designed Divider Set from SKB. The set consists of a closed cell fitted foam liner with dividers that are designed to fit inside your iSeries 4414-10TT SKB case. Custom configurations are easy with the included four 90° bend dividers and 12 padded, touch-fastening dividers. Locating gear in low light is easier thanks to the high-contrast gray interior. Box Dimensions (LxWxH) 47.0 x 18.0 x 11.0"